A successful recruiter understands that the key to recruiting new drivers is taking the time to nurture their driver relationships. However, with a busy schedule, there’s not always time to make every phone call. Introducing Tenstreet’s fully-automated Drip Marketing service. Drip can easily eliminate the busy work in your recruiters’ current workload, track ROI, and, most importantly, improve candidate response rates. Drip targets the drivers you want to reach, and delivers texts* and emails to current and prospective drivers for you, helping to build your relationships with personalized messaging and branding. Traditional advertising is expensive, and with reapply rates at over 40% each month, your advertising dollars are being unnecessarily spent on drivers already familiar with your company. Rehires are the perfect candidates for a far less expensive Drip campaign that can communicate your interest to eligible candidates, and save you money. 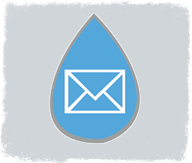 Drip marketing is a sequence of emails and text messages, typically referred to as a campaign, that are automatically sent out to candidates on a pre-scheduled basis, based on specific criteria. 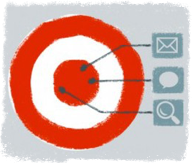 A campaign is simply the combination of messaging, branding, and your call-to-action. They address a specific audience (candidates or drivers), a specific need (recruiting or retention), and generate interest in your company. 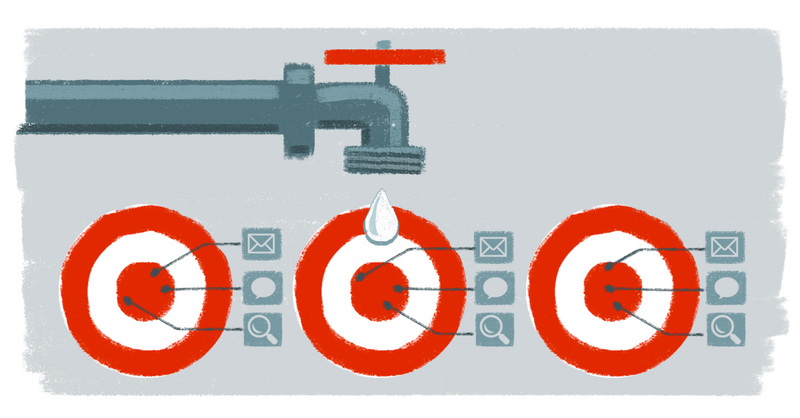 What are examples of common Drip campaigns? Campaigns can be designed to create interest in your open positions, re-engage stalled drivers, or work to retain any drivers you may be at risk of losing. These will be the current, prospective, or former drivers you wish to contact. A popular configuration set is to send four messages the first month (day 7, 14, 21 and 28), and one every month after that. However, we’ll discuss the best option for your business and purpose during our initial consultation. You can either create a different message for each text/email, or use the same email/text for each communication. Check out our Drip FAQs! Will messages go out to every subject in our dashboard? We can include subjects that have applied in the last 365 days. Can I tell which drivers were sent messages, and what those messages were? Yes, the campaign name, message title, status, date sent, and a preview option are all available under the Communications Overview tab on the subject’s record. Additionally, we provide a tool that shows an overview of every subject in each of your campaigns. Do I have to maintain my campaigns by adding new subjects each time we receive a new application? No, that’s all handled for you. Each time a new driver applies, he or she is automatically added to any campaign by the criteria you’ve set. What happens when the driver applies? Then the driver is immediately unenrolled from the campaign, and doesn’t receive any further messaging. Can a campaign include both email and text? Yes, Tenstreet enables you to take advantage of multi-channel marketing campaigns and schedule messages to reach out to your candidates through a combination of emails, phone calls, and text messages. You can utilize the entire range of communication options in one campaign, configuring a first message to be sent via email, a second by phone call, and the third over text. Do you give consideration to FCC texting regulations? Tenstreet ensures total compliance with both the FCC and the TCPA (Telephone Consumer Protection Act), which requires that consumers must receive a “clear and conspicuous disclosure” when opting in, and have the ability to easily opt-out at any time. It also stipulates that text messages can only be sent between 8am and 9pm (in the driver’s time zone). We manage all of this behind the scenes, so you don’t have to. How will I know if it’s effective? Tenstreet’s integrated system enables you to track attribution across all of your campaigns and activities to clearly understand the real impact your marketing dollars have on your business. Additionally, we allow you to more accurately track your ROI by quantifying not just your direct response rate, but also your attributed response rate. How does Tenstreet’s Drip Marketing compare to other marketing software? Tenstreet campaigns have been shown to be more effective in generating responses than less targeted methods like email blasts. We take your recruitment to the next level by helping recruiters more effectively pursue every qualified driver. We consider that candidates often will not click directly on links embedded in an email, and instead, will recall your brand and come back to your website later. Other email marketing software like Mail Chimp, Constant Contact, MyEmma, Aweber, and others can’t track this type of attribution, simply because they don’t have access to the data. We leverage all the information byproduct that the recruiting process produces, varying messages based on geography, tagging data, status history, recruiter assignment, and more. This puts Tenstreet’s Drip Marketing service ahead of the curve. I’m not sure where to start. Do you offer any coaching? Absolutely, and at no additional cost. We want your campaigns to be successful, so we have a special team to help you navigate the process of creating easy and effective automated Drip campaigns. We work directly with clients every step of the way to create a Drip campaign that will best fit their needs. By virtue of our scale and experience, we at Tenstreet can help you focus on recruitment methods that work, and avoid the stumbles that plague a lot of campaigns. I am interested in learning more about this. Thanks. That’s great, Patrick! I’ve notified your advisor, Carlo, who will be in touch shortly to discuss further. Thank you! Could someone please email me how much the drip campaign would cost monthly… Very tight budget here. Hi Denise, I’ve given your email and question to your advisor, Meghan. She can help get you started!